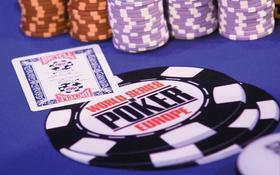 The 22 remaining players competing for the 2010 World Series of Poker Europe Main Event title were back at it on Monday, battling it out for one of the nine final table spots. With big names like Phil Ivey, Viktor “Isildur1 *allegedly*” Blom, Greg “FTB” Mueller, Hoyt Corkins, Barney Boatman, Andrew Pantling, Arnaud Mattern, Roland DeWolfe, and Thomas Bichon still in the running most of us were salivating for a star-studded final table. Alas, of the aforementioned group of players only Roland DeWolfe was able to weave his way to the final table. Phil Ivey was eliminated in 19th place, and his online opponent Viktor Blom hit the rail a few spots later in 16th place. Heading the final table is poker pro and Victory Poker CEO Dan Fleyshman with 1,946,000 chips. You can definitely expect a big boost to Victory Poker’s traffic numbers should their CEO capture the WSOPE Main Event title! However, this is still anyone’s tournament since no player has a huge chip-lead or is incredibly short-stacked. This entry was posted on Tuesday, September 28th, 2010 at 3:41 am and is filed under Poker News. You can follow any responses to this entry through the RSS 2.0 feed. You can leave a response, or trackback from your own site.